I was lucky enough to catch this wonderfully talented up and coming band, WATERS last summer courtesy of Jason Bentley‘s KCRW’s Morning Becomes Eclectic during the Make Music Pasadena Music Festival and they blew me away with their incredibly infectious raw talent and winning over the entire crowd. WATERS is now excited to announce their new album and Vagrant Records debut, What’s Real (available April 7th) Serving as a follow up to 2011’s Out In The Light, and 2014’s It All Might Be OK EP, What’s Real is comprised of eleven honest and raw tracks reminiscent of alternative rock stalwarts of the 90’s. What’s Real was recorded over a 15-month period with Grouplove producer/drummer Ryan Rabin as well as producer Carlos De La Garza (Paramore). The result is the perfect juxtaposition of songs that sound and feel big, all the while being incredibly personal and brutally honest. 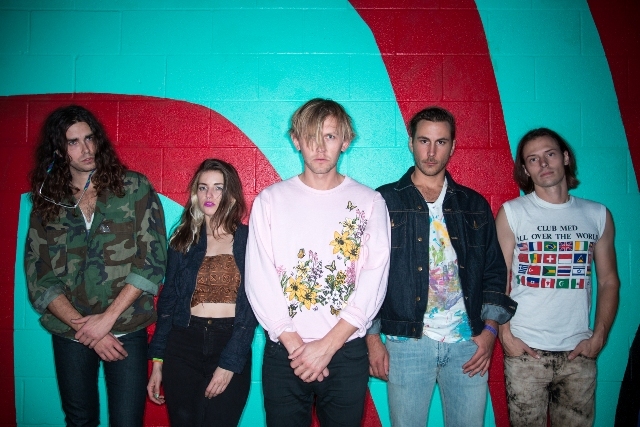 All Access Music writer, Nicole DeRosa got to ask frontman, Van a few questions before the band hits the road again. Read more in their Q&A below! Hi Van! Where does this interview find you today? What’s on the agenda today besides our interview? Well, you’ve found me close to midnight, sitting on my couch with my dog Pip. I just moved to Los Angeles a few months ago, and we’re currently in Highland Park. The lazy Saturday was spent catching up on Better Call Saul and stirring up some new songs. I started playing guitar in 4th grade when someone gave me a copied tape of Green Day’s “Dookie.” I played in punk rock bands through high school before starting my first real project Port O’Brien. I started WATERS in 2011 when I was living in Oslo, Norway after falling in love with a girl there. 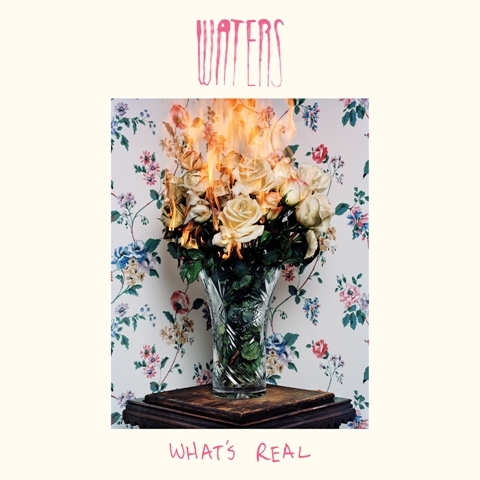 You guys released your debut album, Out in the Light in 2011, a follow up EP called, It All Might Be OK (produced by Ryan Rabin of Grouplove) in 2014 and WATERS will be releasing their next full length album “What’s Real”. What did you learn between albums that you felt you wanted to infuse into the album? This new record is very different from Out in the Light. I started studying and getting back into the music that made me want to pick up an electric guitar in the first place (the aforementioned Green Day, Weezer, Nirvana, the Pumpkins, etc). So-called “alternative” was my life-force growing up, and I wanted to focus What’s Real on that. Can you share with me what your inspiration was for your current single, “I Feel Everything”? The song just came about when I was visiting my friends in New York City. I wrote most of the lyrics on the plane back to San Francisco, where I was living at the time. The song is about the addiction of extreme relationships, which end up being very hard to escape even after you realize they might not be great for you. Yes, it was the 1967-1970 double CD compilation from the Beatles. “When I Come Around.” I hate to be a broken record about Green Day and Dookie, and there are lots of other bands since that have influence me much more. But that record really was a game-changer for me. And the video for “When I Come Around” in particular really got to me. It just looked so fun to be in a rock band. I listen to more pop music than you would think. Back in high school, I would put up a lot of walls of what was cool, or what was good. That’s not the case anymore. More recently, I’ve been into Talking Heads, Unknown Mortal Orchestra, Alvvays, the new Bjork record, and I’m having a resurgence of love for Paul Simon’s Graceland. What’s on tap next for WATERS? What are you most excited about in 2015? I’m most excited about What’s Real coming out! April 7th couldn’t come sooner. I’m also really excited to crisscross the country with Matt and Kim. I have a feeling that is going to be a very fun tour! To learn more about WATERS, including upcoming tour dates, visit their website HERE . BOOGALOO Music & Art Festival : April 29 – May 1st ~ J.PHLIP, CRAZY P, JASON BENTLEY and Many More!